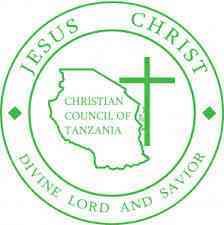 Christian Council of Tanzania (CCT) is an umbrella organization bringing together protestant denominations and church related organizations. There are 12 denominations and 10 Church related Organizations, it was founded in January, 1934. CCT works extensively around the following areas: Women Development Children and Gender, Youth Development, Health and HIV/AIDS, Advocacy and Policy analysis, Climate Change, Environment and Food Security, Media and Advocacy, Peace, Socio-Economic Justice and Good Governance, Interfaith Relations and Ecumenism. The overall mission of CCT is to foster unity and enhance capacities of community members to witness for Christ and build holistic development. CCT use an integrated approach that include mobilization of local communities through microfinance initiatives to respond to poverty, Gender Based Violence, corruption, environmental degradation, health and HIV/AIDS related challenges. CCT has also adopted Result Based Management (RBM) approaches as a principle way by which all interventions are managed.